Most slips and falls that occur in the home happen in the bathroom. For those with circumstances that limit mobility, ensuring both safety and privacy is easy with our low-cost bathroom grab bars. What Is a Bathroom Grab Bar? 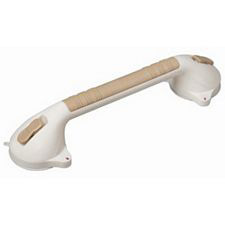 Grab bars provide support for balance and safety, helping to prevent fall injuries and They are almost always found in designated handicap bathroom stalls, but they are equally useful in a home setting for use anywhere in the bathroom. This guide explains below the considerations when choosing a grab bar for your home. 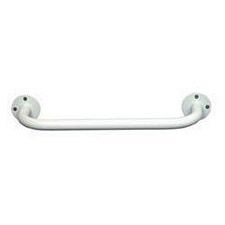 Mounted grab bars have holds on either end for screwing directly into the wall. These are similar to those found in public bathroom handicapped stalls. The advantages to a mounted grab bar is that you can mount them to almost any wall or surface where drilling is possible and the permanent installation ensures a sturdy, long-term support for a high weight capacity. The disadvantages of a mounted grab bar: hardware installation is required to drill the holes and properly mount the bar. 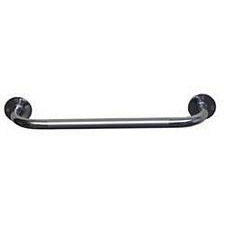 Secondly, mounted grab bars do require drilling holes into a wall that you may otherwise not want to drill into. And finally, there is no portability without removing the hardware and re-installing it. 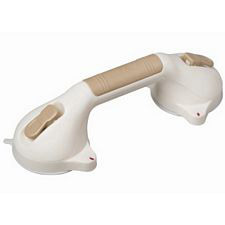 Suction Grab Bars have large plastic suction cups on either end to firmly grip the wall and easy to use application levers to put them in place once the position has been decided. 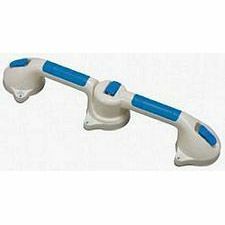 Suction cup grab bars are ideal in many home use scenarios where drilling holes may be undesirable or unnecessary. 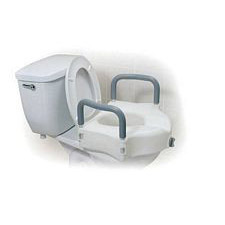 Proper use of the suction cups makes the grab bar sturdy enough to support the weight needed for bathroom mobility. Likely the biggest advantage to the suction cup models is the ability to remove the device from the wall and move it to a new location in the bathroom (such as the shower), or when traveling for hotel bathrooms. Telescoping - Some Grab bars have an adjustable length, such as this model from Bridge Medical which can extend between 17 - 24 inches. 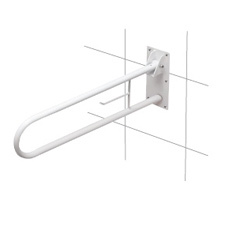 Pivoting - Some grab bars also have pivots that allow for angling from wall-to-wall or tub-to-wall, which can be useful or required for some bathrooms. 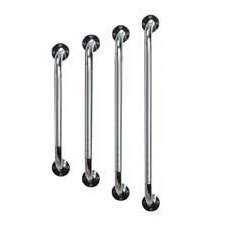 Grab Bars - Chrome - 16in.